Isla has always had a love of pulling wipes out of the packets. We’ve been round to friends’ for dinner before, and Isla manage to empty a whole packet of wipes onto their floor! Oops! We also buy out wipes in big multi-pack boxes. When I bought some this week she wasn’t too happy with just seeing the box on the kitchen floor, and moaned until I opened this box for her. 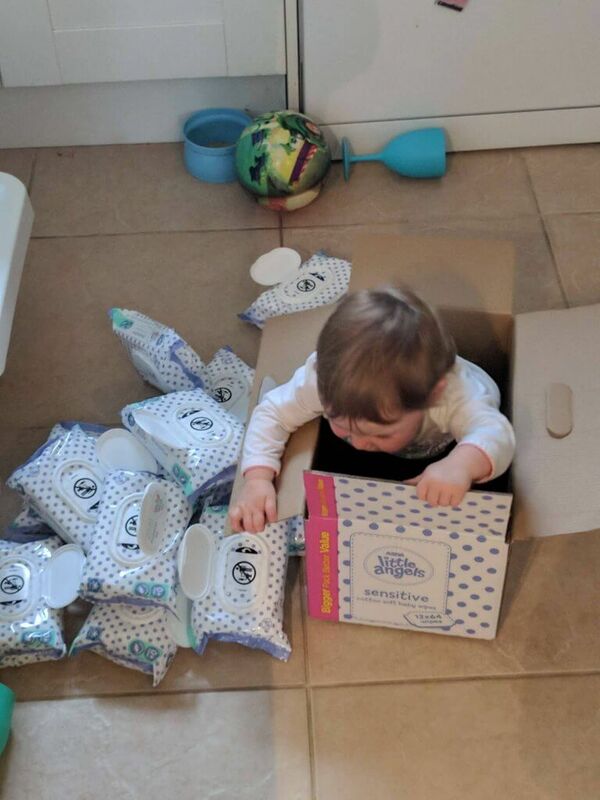 Isla then proceeded to pull out every single pack of wipes from the box, and try to get into them. I am thankful that she has not managed to pull the sticky label bit off of new packets yet, otherwise it could have been interesting in our kitchen! 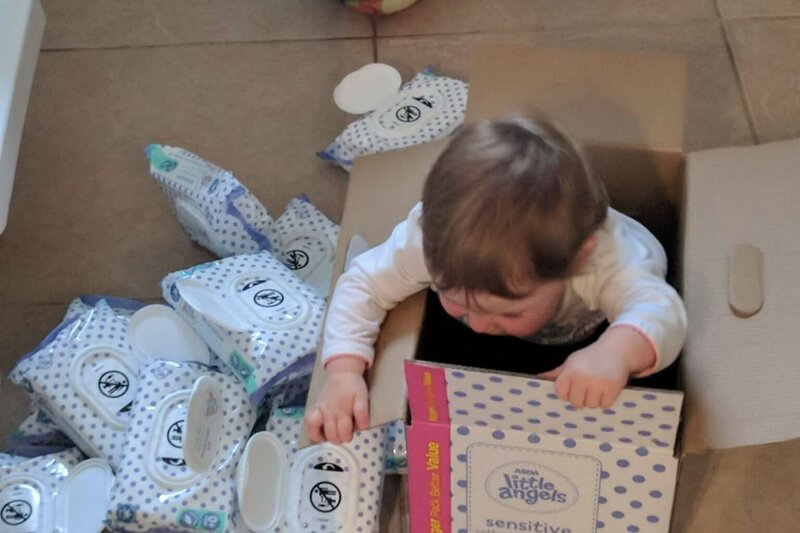 Anyway, this weeks Living Arrows picture is of Isla with every pack of wipes surrounding her, after she then climbed into the empty box!! I think the photo just sums up how much of a cheeky monkey she can be. She is really developing quite a personality, and it is (mostly) wonderful to watch. Although, she does have her moments when she throws a tantrum because her sandwich doesn’t have peanut butter on it (she’s her mother’s daughter!) or because we haven’t sung Twinkle Twinkle enough times in the last 5 minutes!! Is your little one a rascal like Isla too?